Born in Katoomba, Jill has been painting for over forty years. 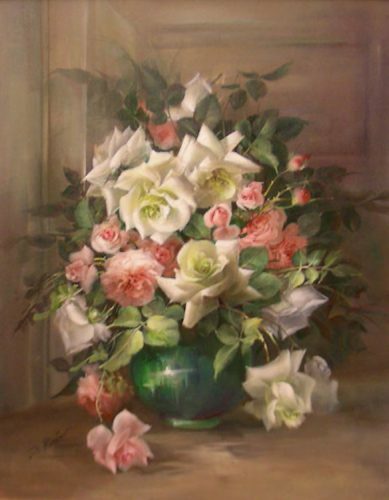 Starting off as an accomplished flower arranger and having won several trophies and awards, she turned her hand to capturing her floral art in oils on canvas. 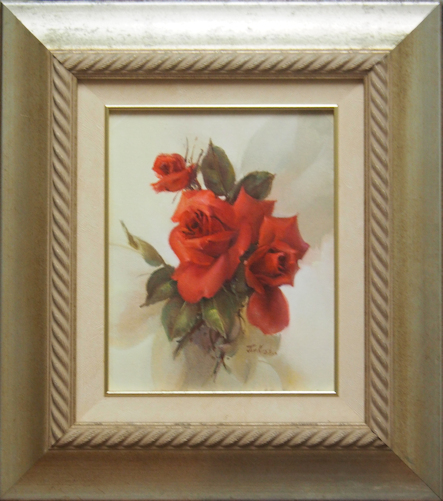 Jill has found roses to be the most challenging and rewarding subject. Jill’s meeting in the early 1980’s with the brilliant Belgian artist, Maurice Verelste, who painted florals in the style of the old masters, inspired her immensely. He encouraged her to find and develop her own unique personal style. Jill quickly rose amongst the ranks of accomplished artists and has held several solo exhibitions. She exhibits Australia wide. Jill’s paintings are represented in collections throughout the world from the U.S., U.K. Singapore, South Africa and in many Australian galleries and homes. Her paintings have been included in the Connoisseurs Collection of Australian Art as well as the Jubilee Collectors Exhibition. She has also had worked commissioned for local Government Chambers.